Every year, the Techlicious team heads out to Las Vegas for CES to look for the best new products and tech trends for the year. 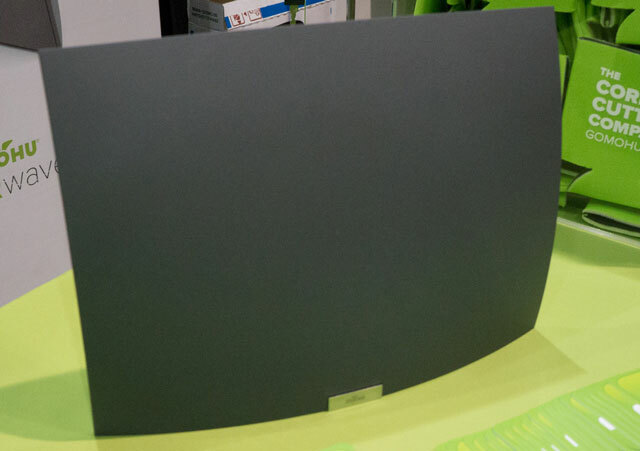 And, as always, this year's CES presented some big standouts, from an unbelievable TV that is only 2.56mm thin and easily mounts to your wall to a range of incredibly helpful smart home products to a bed that will help you sleep better and stop your snoring. After walking many miles and eyeballing hundreds of products, these 11 products stood out for their unique features, clever solutions or just plain awesomeness. 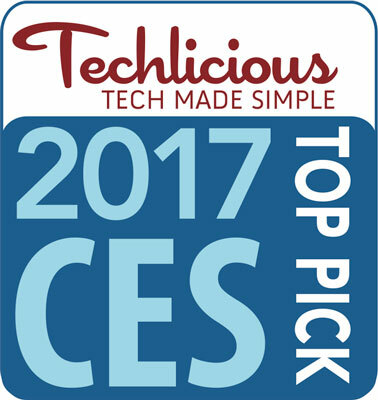 We crown them the Techlicious Top Picks of CES 2017 award. LG's OLED TVs have offered some of the best picture quality in the market, and this year is no different. The LG Signature W-Series OLED 4K TV offers improved HDR performance for brighter colors and darker blacks, resulting in a big improvement in picture quality. But the surprise is just how thin these high-end sets are. The 65" model is only 2.57mm thick, which is less than half the thickness of your iPhone. A unique mounting system allows you to hang the TV flush against the wall, using magnets to hold it in place. When mounted, it's just 4mm total depth from the wall, causing the LG W-Series to resemble a window more than a television. The 77-inch Signature 77W7 OLED is also the first TV that includes Dolby Atmos 3D sound — the same technology you'll find in movie theaters — with an included soundbar. This soundbar channels sound up and around the room, for an immersive, surround sound experience without a complicated speaker setup. Great sound and a great picture? Sign us up. Both the washer and dryer can run each load with its own settings, meaning you can wash a load of bulky towels and a smaller load of delicates at the same time — and then dry them separately at the same time, too. FlexDry's unique drying rack is perfectly designed for delicates, letting you lay items flat to dry with a controlled flow of warm air. MultiSteam technology, available in the dryer's main compartment, can also be used to remove odors, bacteria and wrinkles. Considering most of us run multiple loads of laundry every week, this system means spending less time waiting for the laundry cycle to finish and more time doing the things we enjoy. The Willow is packed with smart features that moms everywhere will appreciate. It's the first hands-free pump, with no tubes, cords or dangling bottles, meaning you can go about your everyday activities while pumping. Any mom will realize just how much of a convenience this would be. Willow is an all-in-one design that fits discreetly inside your bra, quietly collecting milk (and tracking the amount extracted through an iOS app) while you go about your day. We aren't sure we'd be comfortable wearing it publicly in the office, but its small size and relatively slim profile make for a gadget that's surprisingly subtle — certainly more so than anything else currently on the market. Cleaning is straightforward, too: it snaps apart easily and can be put in the dishwasher (though Willow also comes with two cleaning brushes). Milk is collected in single-use 4 ounce bags (which are BPA-free, spill-proof and freezer-safe) inside the device. 24 bags are included, and you'll pay about $0.50 each after that. Get ready for the smartest refrigerator ever with LG's Smart InstaView, the first refrigerator with Alexa integration for voice control. Alexa's open platform lets you access a huge range of functions and Amazon is adding more all the time. You can use Alexa to set timers while you're cooking, order milk from Amazon Prime Now or even call out for pizza when you don't feel like cooking — all of which makes this new smart fridge a handy kitchen companion. But the Smart InstaView goes beyond that with features that help you easily keep track of what's in your fridge, making for easier grocery shopping and less food waste. The fridge has a massive 29" touchscreen on the right-hand door, and two taps on the screen turns it clear so you can see what's inside without opening the door and letting out cold air. A camera in the fridge lets you do the same from your smartphone, no matter where you are, so you can check what you have when you're at the grocery store. You can also digitally tag all of your food with notes and expiration dates, meaning no more mystery leftovers or expired food going wasted. 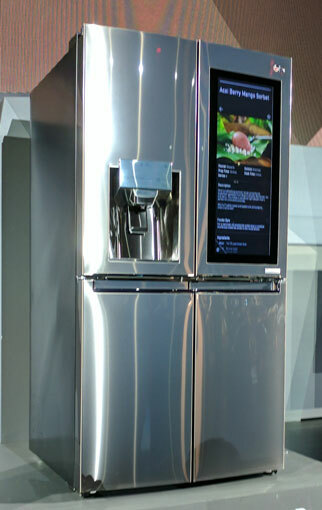 The kitchen is one of the most-used rooms in any home, and the LG Smart InstaView Refrigerator acts as the centerpiece. Beyond being a kitchen helper, it lets you take notes, set reminders and make to-do lists, making it a virtual message board for the whole family. If you're in the market for a new fridge, LG offers smart features that can't be beat. While this certainly isn't the first coding toy we've seen — or even the first Lego coding toy we've seen — Lego's new Boost sets deliver the best combo fun and learning we've seen in a toy that teaches coding to young kids. When building with an ordinary Lego set, your kids stack one brick on the other until they've built a castle or spaceship. Boost teaches coding in that same one-brick-after-another way. Using an app (for Android and iOS), kids drag and drop code blocks, which can combine to make their Lego creations act in different ways. The idea is to give their existing Lego masterpieces a "boost" by adding movement, sound and more. This streamlined implementation makes it easy to grasp the logic that makes code work, and it's a fun and creative way to teach elementary-aged kids (7 and up) coding basics. 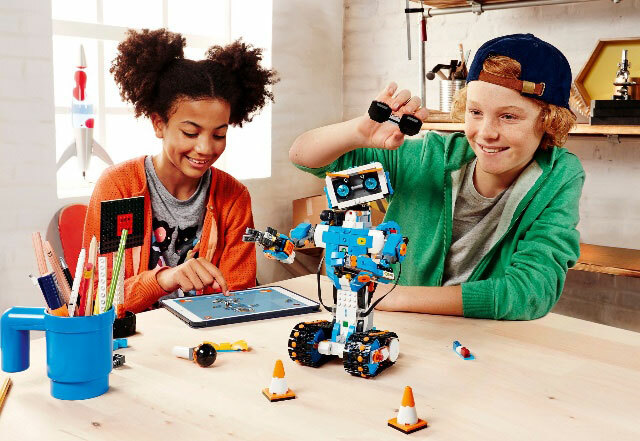 The Boost set includes three smart Boost bricks (a hub, a sensor and a motor), 843 Lego elements and a playmat that works in tandem with the app to create challenges for your child's robotic creations. The set includes instructions for building five different Boost creatures — but, as with any Lego set, your kids can have just as much fun letting their imaginations run wild. If you're a cord cutter, you'll need a indoor antenna to pull in local over-the-air channels. 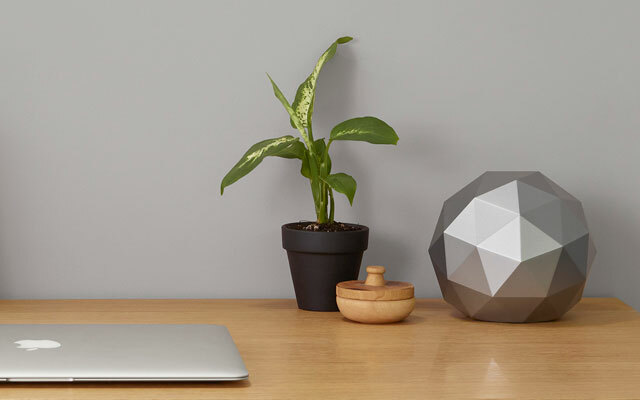 But what if you can't get a good signal near your TV or don't want run wires? The Mohu AirWave you've been waiting for. The Mohu AirWave is an indoor HD antenna that integrates a TV tuner and can stream live TV to your Apple TV, Roku, Fire TV, and Android or iOS device. So now you can put the antenna anywhere you want (or at least anywhere you can get a signal) and watch on any device you want. That's cool. Symantec's Norton brand is well known for its computer security software, and now the company is applying its security expertise to hardware with the Norton Core router. The Core monitors your internet traffic, stopping malware, viruses and cybercrime in their tracks. While you already protect your computer — and maybe your smartphone — with anti-malware software, homes have an increasing number of smart connected devices that aren't phones or computers, and any of them can be compromised. For instance, this past October, a huge Internet outage was caused by a denial of service attack, primarily driven by connected cameras. A device like the Core router will keep your gadgets safe from being compromised for these hacking attacks. Core provides a single-number security score, so you can easily understand how safe your home network is. And, of course, you can drill down if there's a problem to address the source. Beyond security, it's a practical family device. You can set up screen time limits by person or by device, shut the Internet off for one person (or everyone), set a "bedtime" for the Internet to keep kids offline when they should be sleeping, and easily let guests use your network without handing out your Wi-Fi password. It's an all-in-one device that offers both security and convenience. Price: $280, though you can pre-order now for $200. Core Security Plus, for continued antivirus protection, will cost $99 per year after the first year. Designed with busy families in mind, Aristotle is a baby monitor and smart voice assistant with Amazon Alexa. While we've seen plenty of Alexa-based gadgets at CES this week, Aristotle goes beyond the standard smart speaker with a focus on both kids and parents that makes it a unique must-have. First, and most obviously, Aristotle can do everything Alexa can do, with 6,000 voice-powered actions that can tell you the weather or place an order from Amazon. But it shines where it goes beyond Alexa, with skills sure to help handling a newborn: you can log diaper changes and feeding times, order diapers from participating retailers (Aristotle will remind you when you're running low or order them automatically), or hunt down coupons for baby supplies. And Aristotle is a companion for children, too. 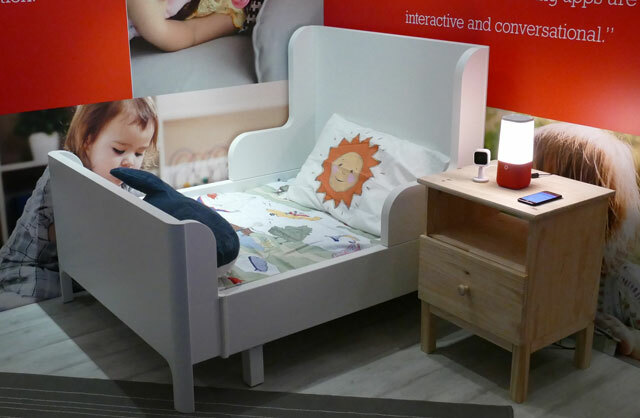 It can automatically play a lullaby and turn on a dim light when it hears a baby cry, read stories and play games (like asking your child to identify colors or sounds). For older children, it can answer questions, help with homework and even teach language lessons. It's the first voice assistant built to interact with all family members — and it will grow as your family grows. While the majority of homes have motion-activated floodlights, that's where it ends in deterring intruders. After all, if no one's at home to see the light turn on, there's little you can do about a potential thief. Ring, well known for its video doorbell, is here to fix that problem. 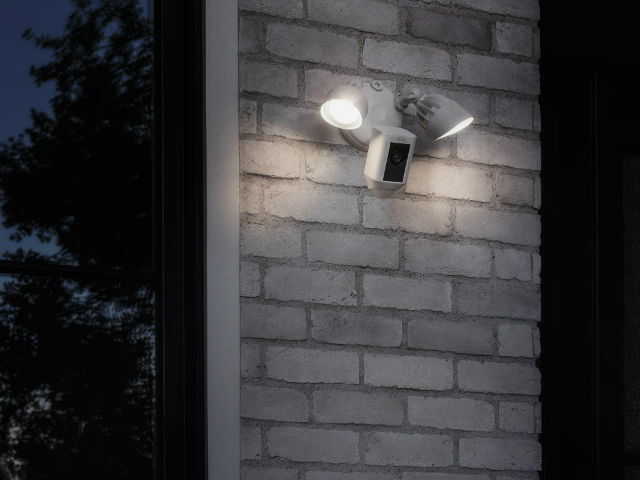 The new Ring Floodlight Cam adds a camera to make a high-tech version of the classic motion-sensing floodlight — making your home ready to handle anything with lights, camera and (inter)action. The Floodlight Cam includes 1080p video camera (cloud recording is available for $3 per month) with IR night vision, a loud speaker so you can talk to anyone the camera spots, 270-degree field of view, bright LED lights and a 110db siren to scare off intruders or alert the neighbors. When used with the Ring app (for Android, iOS and Windows), you can get smartphone notifications whenever Ring detects motion, check the video camera or turn on the lights at any time. You can also configure the camera to watch specific areas for motion (like the sidewalk). It's a convenient combo gadget that will work with your existing smart home setup, including ADT Pulse, Samsung SmartThings, Wink, Kevo and IFTTT. If you're replacing an existing floodlight, it requires no additional setup — but a new installation will require power, so you may need to call an electrician. Everyone wants a better night's sleep, and the Sleep Number 360 Smart Bed is designed to do just that. 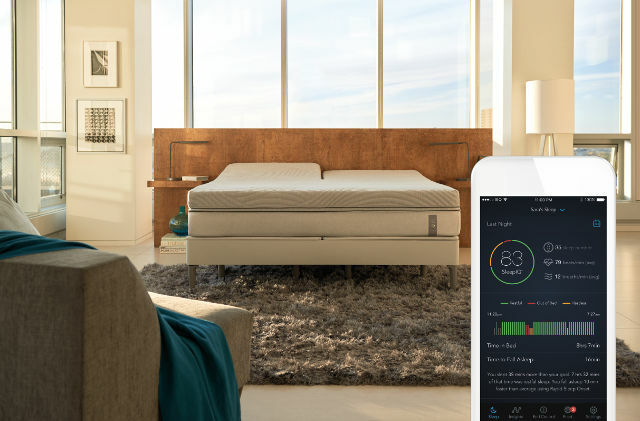 To help you get the best night's sleep possible, this smart bed adjusts throughout the night for maximum comfort — and while there are beds that can be adjusted just the way you'd like, Sleep Number 360 is the first to do everything automatically. Paired with the SleepIQ app (for Android and iOS), the Sleep Number 360 will send you a reminder when it's nearly bedtime and warm the foot of the bed, so there are no more cold feet — which can help you fall asleep faster. Like to read in bed? It will automatically adjust to your favorite position for reading. And once you are ready for sleep, the bed tracks your movements, raising your head if you start to snore and adjusting to the appropriate softness if you shift from your back to your side. It will also wake you in the morning when you're at the lightest phase of your sleep cycle, so you get up feeling refreshed instead of groggy. Who wouldn't want that? And, like all Sleep Number Beds, the Sleep Number 360 is built for two, adjusting both sides of the mattress for individual comfort. You'll be hard-pressed to find a television at CES that doesn't look incredibly sharp, but Samsung's new Q9 QLED 4K TVs — which go up to 85" in size — take it to the next level. These sets use proprietary quantum dots to display a billion different colors, with better brightness and contrast for one of the best pictures we've ever seen. To complete the extremely clean look, the Q9 connects to cable boxes, gaming consoles and other video devices using a transparent optical cable: the cable runs to a box hidden away in your entertainment center and can connect to up to four components. Similarly, the power cable is extremely thin, completing the illusion of a wireless system, with no need to run wiring through walls. Super picture. Super-easy mounting. And super-clean look. That makes it a top pick in our book.